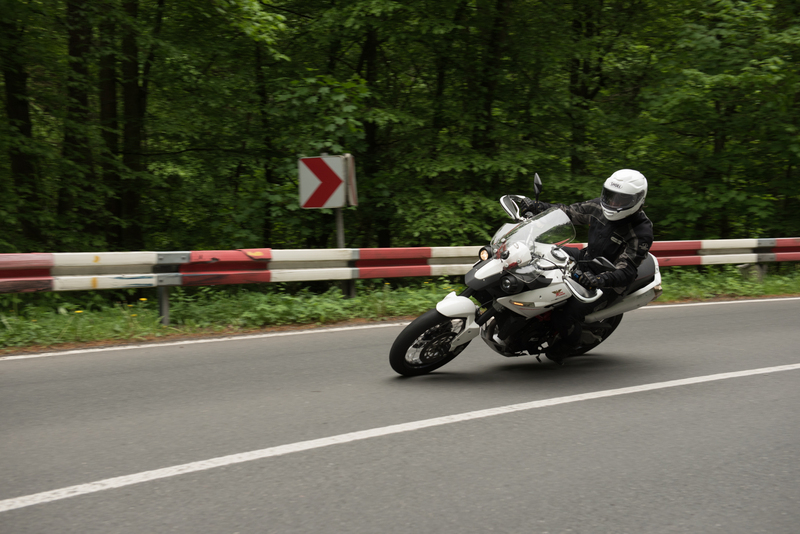 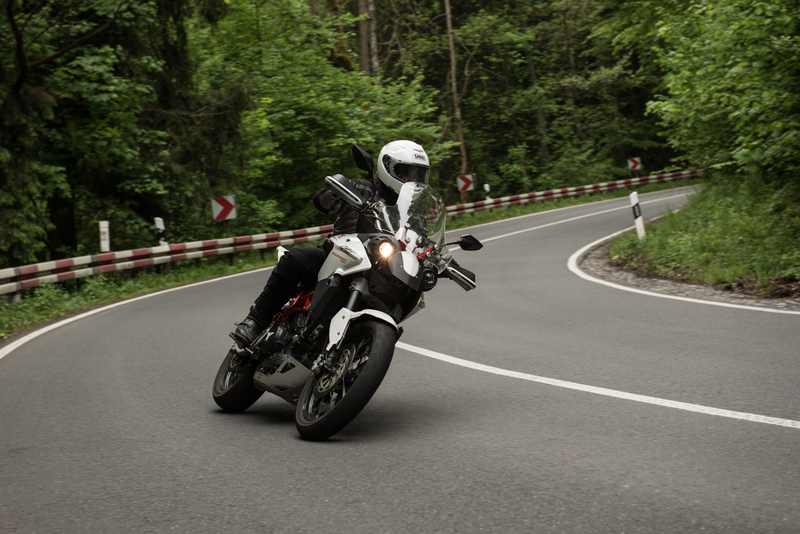 These are images I took of my friend Dominik on his Moto Morini Granpasso during a tour through the Harz region. 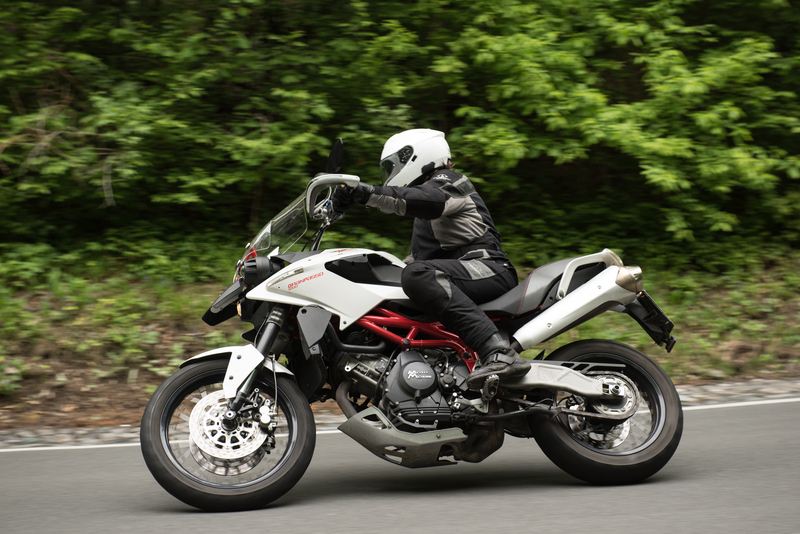 We took turns in photographing, so at first I shot Dominik on his bike, then we switched. 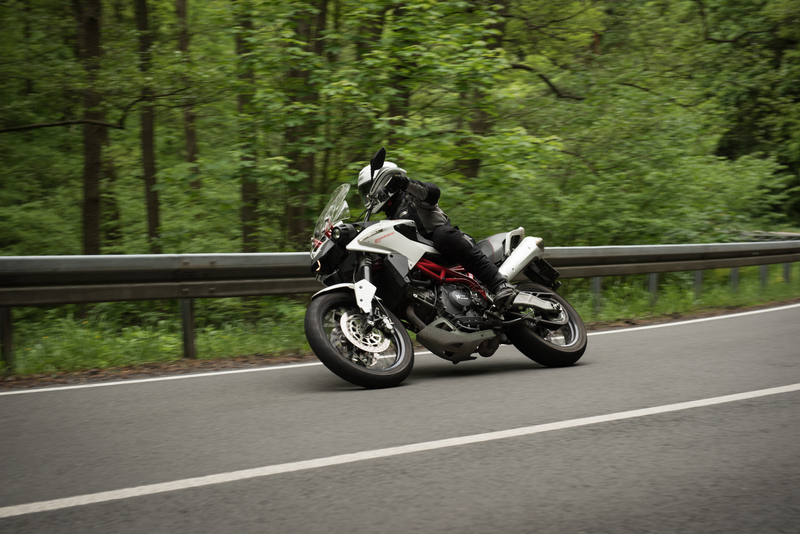 Choosing a fast shutter speed freezes the bike and its surroundings, every detail is sharp and no motion blur occurs. 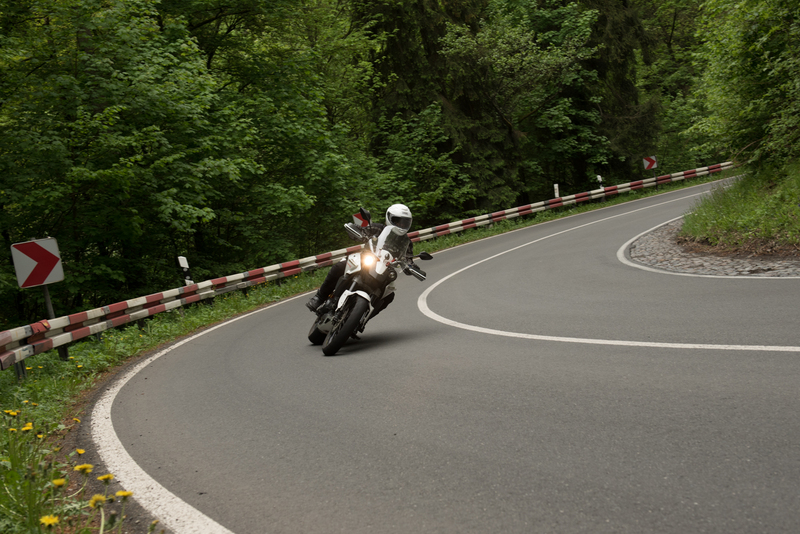 But due to the lean angle the images still convey the action of the ride. 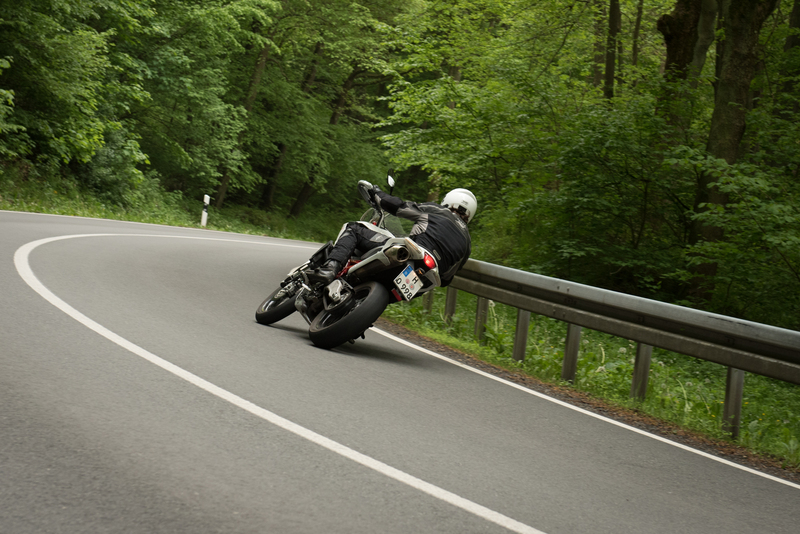 Slightly tilting the camera adds to the tension and gives the images a more dynamic look.